After having explored some general social networking rules for how often to post on the major social networks, let’s move to a more specific question: How often to share your blog content to social media for better blog promotion? Social Media are the best source to drive traffic to your blog. Social networks will bring your blog content to an engaged audience. 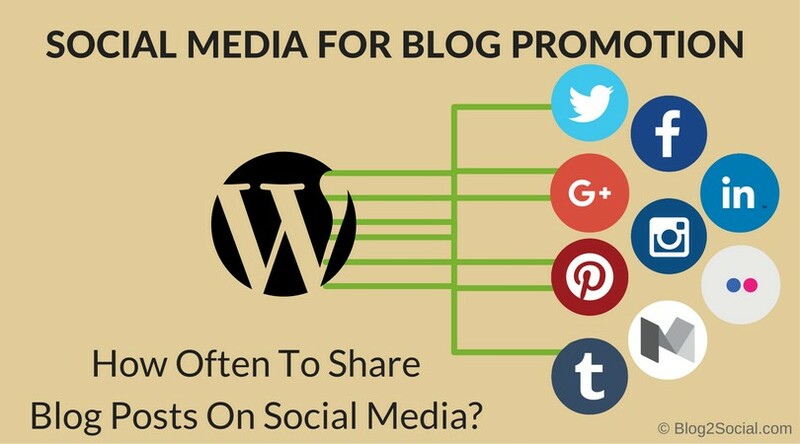 So, social media should be a major part of your blog marketing strategy. 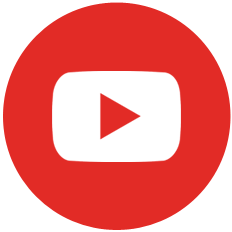 However, as with content in general, there are different rules for each network. For each social network there is an optimal frequency of posting for maximum engagement. Exceeding this frequency may result in annoying fans and driving away followers. 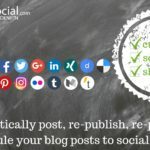 We have done some thorough research on the posting frequency for a better blog promotion that will help you to follow some basic guidelines for what might be best practice for your blog to social media scheduling. We have placed our results into a scheduling infographic as scheduling guide and checklist for your daily task. Use these guidelines as a starting point for your own experiments and analytics. And please share your results and recommendations with us and with others. We’d be glad to know what works for you and what doesn’t. Please feel free to share the graphics to whomever you think may find them helpful. [Infographic] How often to share your blog post on social media? Share this image on your blog and to your social media! 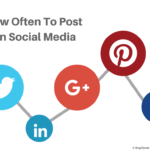 How often to post your blog content to social media? Remember: The best times for posting to Twitter are the morning hours from 8 a.m. – 10 a.m, middays from 11 a.m. – 1 p.m and after work from 4 p.m. – 7 p.m. 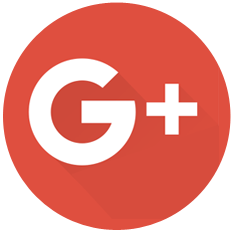 Remember: The best times for posting on Google is in the morning from 7 a.m. – 10 a.m. and in the afternoon from 2 p.m. – 3 p.m. Remember: The best time for LinkedIn postings is during office hours from 8 a.m. – 10 a.m. and in the afternoon from 4 p.m. – 6 p.m.
Instagram is around midday from 12 a.m. – 2 p.m. and in the evening from 7 p.m. – 10 p.m.
Flickr is in the early morning hours from 7 a.m. – 9 a.m. and in the evening from 5 p.m. – 7 p.m. 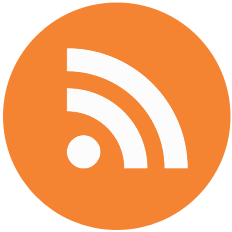 Medium, Tumblr, LinkedIn Pukse, Slideshare, Scribd, Issue, Quora, . . .
Social Media can help your blog promotion tremendously, but sharing and scheduling your blog posts for the right frequency and at the best times to post on social media can be some pretty gruesome manual work and costs a lot of your valuable time. Most people do not have the time to post all day, everyday. Planning and writing valuable content takes up enough of your valuable time. Monitoring and engaging with your community is not less time consuming and even more important. So how would you feel to reduce the time and work for your content promotion to a minimum of time? 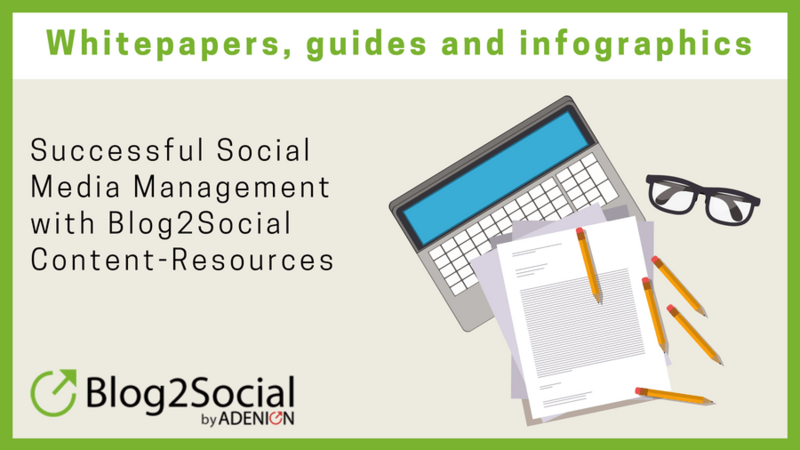 Blog2Social is a WordPress plugin that helps you to easily customize and schedule all your blog content and automatically cross-posts and cross-promote your content to social media. The plugin makes it easy to customize your posts with individual comments according to each networks posting options such as number of characters, hastags oder handles and to plan your posts to ensure they meet the ideal time and frequency for each network. Interested in trying out Blog2Social? Download and cross-promote your blog posts for free and even try out all advanced premium features for cross-posting and scheduling with your 30 day free trial today! 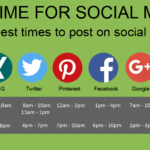 Social Media Frequency Guide: How Often To Post On Social Media?